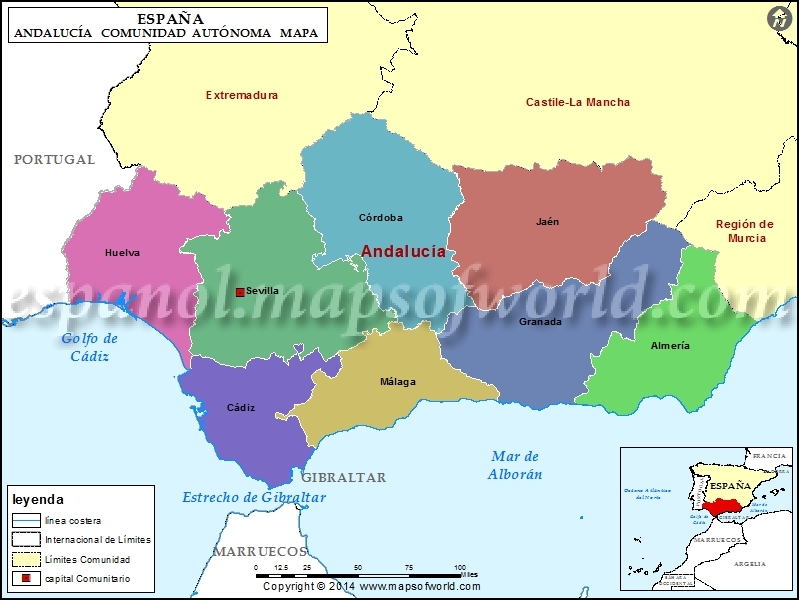 The legal rules governing tourism in Spain fall within the competence of the Administration of the ‘Autonomous Communities’ or Regions of Spain as opposed to that of the central State Government, which means that different regulations exist in each such Region. Following suit with other Regions, Andalucía has recently published a Decree (28/2016 of 2 February) on dwellings to be used for tourism purposes. This and similar legal rules of other Regions are intended as a reaction to what was formerly known as “illegal holiday apartments”, and they have become very important given the growth experienced by the commercialisation of private homes for use by tourists during very short periods. Such an unstoppable growth is due to the straightforwardness and immediateness of the electronic means which are now used for the marketing of these homes. Thus, what the owners of dwellings do is that they cede their private homes for very short periods (sometimes a few days) to companies which, through their own website, channel the agreement between the owner and the tourist, who normally don’t know each other or only meet when the tourist arrives on a prearranged date to occupy the dwelling. Even payment of the agreed price is also managed through that portal. The traders who operate resorts of holiday accommodation regard this (as they did the so-called “illegal holiday apartments”) as unfair competition as, while these traders need to maintain an appropriate services structure, staff and facilities, in addition to bearing a considerable tax burden, short-term occupation of private homes by tourists, where services which may be considered inappropriate are also offered, do not bear the same taxes or can simply dodge them easily. But the owners of dwellings have the ancestral, legally-recognised right to rent out their homes, even for short periods. Therefore, the intention behind these rules is to establish a distinction between a short-term rental of a dwelling and the cession of a “dwelling” (whatever its size) as if it were a holiday accommodation unit. This Decree is therefore intended -more or less successfully- to differentiate between these two legal activities. “An enclosed and covered place built to be inhabited by persons”. Therefore, when we commonly talk about a dwelling, we refer to its physical meaning, i.e. a building constructed to be inhabited by persons, but when we do so in the legal context of the Decree mentioned in this article, we do so to differentiate between the different ways of occupying and using that building, be it a dwelling intended to be used mainly and permanently as living accommodation or to be enjoyed during a short period or used as what we now regard as “holiday accommodation”. Articles 1542 and 1543 of the Civil Code provide that a lease can relate to things, works or services, and that, where it relates to things, one of the parties undertakes to grant the other party the right to enjoy or use a ‘specific thing’ during a certain period of time. And, obviously, the ‘thing’ can be a dwelling, whatever its size and characteristics (villa, apartment, studio, mansion, etc). For the purposes of the current Urban Lease Act (L.A.U. for its Spanish initials), leases on a dwellings relate to those intended to be used as a “place of habitual residence” and to the “seasonal rental of dwellings”. Namely, it is their intended use that characterises them. But where the cession of a building/dwelling has a different intended use, such as the provision of accommodation services, this is no longer a lease but an accommodation services contract. I.- CONTRACT OF OCCUPATION BY WAY OF A LEASE FOR HABITUAL RESIDENCE PURPOSES. Given the social relevance of the primary need to fulfil the right to living accommodation for persons and families, this has been regulated in Spain with a very interventionist role of the State, so that the rules and conditions governing the cession of use of a dwelling have to a large degree been regulated very strictly and in great detail by special laws, to such an extent that, in the tenant’s sole discretion and enforceable on the lessor, the lease can continue for up to three years even if the contract was entered into for a shorter period. Such lease contracts where the intended use is not a seasonal rental are not the subject of this analysis. II.- CONTRACTS RELATING TO THE SEASONAL OCCUPATION OF DWELLINGS. In addition to the lease contract mentioned in the last preceding section, the current Urban Lease act (LAU) contemplates and regulates those contracts relating to the rental of urban property which are entered into on a seasonal basis, be it the summer or otherwise. That is, occupation of the dwelling is granted for a “specific season” such as the summer season or, rather, the summer holidays or any other purpose which does not require a long-term stay. III.- CONTRACT FOR THE OCCUPATION OF DWELLINGS FOR TOURISM PURPOSES OR AS TOURIST ACCOMMODATION SERVICES. This is the kind of contract referred to in, and governed by, Tourism Laws (particularly, in this case, the aforementioned Decree of the Junta de Andalucía). Therefore, the aforementioned lease contract for habitual residence aside, the purpose of this analysis is to be able to tell an ORDINARY SEASONAL LEASE (where a private individual rents out their dwelling to a person –tourist or otherwise– during, for example, the summer season) from THE CESSION OF A DWELLING FOR IT TO BE OCCUPIED AS “HOLIDAY ACCOMMODATION”. “Contracts have the legal nature which arises out of their binding content, regardless of what the parties thereto may choose to call them”. Therefore, as far as this analysis is concerned, calling what in legal terms is a right to occupy a holiday accommodation unit a “seasonal lease” (or vice versa) does not mean that we can avoid the rules which in fact apply to each kind of right according to its own legal nature. For the sake of -an almost impossible- brevity, we need to define or at least delimit when the owner of a “dwelling” located on residential land may only operate their dwelling as holiday accommodation and has to comply with the legal requirements to do so. Or, inversely, when they may not cede it as an ordinary seasonal lease. The dwelling is marketed or promoted through holiday services channels where the latter is understood to mean travel agencies, companies providing holiday services or acting as an intermediary in respect thereof and any channels including the possibility of booking accommodation. It is very important to highlight these provisions of the Decree as therein lies the, in my opinion, main motive for approving this legal rule, as it further addresses what triggered the old claim of “legal” holiday resort operators who felt that short-term occupation by tourists of residential homes constituted unfair completion and, also, the public Administration’s concerns about certain “perils” in an activity which had not been specifically regulated, on the one hand, and even the possibility of tax evasion on the other. And it is the promotional and commercial use of the Internet to achieve deals in respect of such dwellings through the so-called “holiday services channels” that constitutes this triggering factor. Just type the words “rental of apartment by days” or something similar into any Internet search engine. You will see the amount of pages offering services for the owner of a dwelling to cede the occupation thereof through that website. We know that the use of such websites is often monitored by the “competent tourism administration” in the assumption that this is a holiday services channel and, therefore, the user’s dwellings are being marketed through this channel, thus engaging in a clandestine operation of tourist accommodation deserving of large fines. “The appearance of new forms of marketing which are direct and have no intermediaries, particularly numerous Internet portals…”, to such an extent that said previous draft Decree from 2014 took the tourism-related purpose for granted where the service is offered “through any advertising medium, inclusive of the Internet or any other new technology…”. Does this mean that any person offering the rental of their dwelling for a longer or a shorter period directly or through an Internet portal, even if they do so regularly, is engaging in a tourist accommodation activity, or that the dwelling has thereby become what the new tourist rule we are discussing calls a residential home for tourism purposes? I honestly believe it does not.- It is not the fact of being marketed through the Internet that defines a tourist accommodation activity, but the fact that the property is actually used as tourist accommodation. Tourist accommodation is fundamentally defined or characterised by the union of two essential elements; the “physical accommodation itself” and the “ancillary services of the tourism industry” or, as set forth in article 40.2 of Andalucía’s Tourism Act: “Any establishment to be used for the provision of tourist accommodation services shall comply with the requirements concerning facilities, furniture, services and, where applicable, those applicable according to the type, category, form or specialty to which they relate”. Consequently, properties occupied without any added services typical of the tourism industry being provided, few as they may be in this case, may not be regarded as tourist accommodation. So we should now look at the similarities and differences between one kind of right and the other. Conflict has certainly arisen in the past and will continue to arise, albeit more rarely now, when somebody tries to avoid complying with this new regulation on dwellings located on residential land but including tourist accommodation services and when this is disguised behind an allegedly lawful “seasonal lease”. We are back to what I mentioned above: contractual obligations are determined by their own nature, not by what we choose to call them. If the right being contracted for is one to occupy a tourist accommodation unit (i.e. a building which is legally suitable to such end and where the ancillary services typical of the tourism accommodation industry are provided), then the contract will not constitute a seasonal lease and, if the intention is to make it appear as such, this will be done in breach of the obligations inherent in the kind of contract now analysed and the breaching party may be subject to severe administrative sanctions. This certainly does not mean that those who market their seasonal lease, whether directly or through specialised traders (such as estate agents or the like), cannot do so through the Internet or other media, as this electronic medium is not exclusively reserved for lodging activities. Despite the efforts that went into the legal rules, there can always be a point of conflict between these two types of contracts, hence the Decree under study -article 3, “Definition”-, rather than define the nature of accommodation in a dwelling for tourism purposes clearly, exactly and accurately, simply provides a non-exhaustive list of the characteristics by which it is presumably delimited. • These dwellings must be located on “residential” land. While excluding those located on “touristic land” may appear to make no sense, it does, as in that case they are already obligated to be used for tourism-related purposes as defined in other rules. * Those offered for a certain price on a habitual basis and for tourism-related purposes. * Those marketed or promoted through holiday services channels. • Those ceded gratuitously or without any economic consideration. • Those hired for more than two months. • Those operated under other kinds of holiday accommodation activity. • Where the deal relates to a set of three or more dwellings in the same building or group of buildings, adjacent or otherwise, in which case the regulations governing holiday apartments will be applicable. Essential requirements to operate your dwelling as a “TOURIST RESIDENTIAL” dwelling. 1.– Located on residential land. 2.- Ceded for a certain price or an economic consideration. 3.- Maximum cession time not in excess of two months. 4.- Operation by the same owner relates to one or two dwellings at most in the same building or group of buildings, adjacent or otherwise. 5.- Each dwelling to be rented out for use by no more than the authorised number of occupiers according to its type. 6.1.– Contact details and address for notification purposes of the owner of the property. 6.2.- Identity of the person “operating” the dwelling and title by which they do so if they are not the owner. 6.4.– Licence or notice of the activity to the Town Council. 7.1.– If The dwelling is ceded in its entirety, the number of occupiers must not exceed that reflected in the municipal Habitability (First Occupation) Licence or, in any event, fifteen occupiers altogether and four per bedroom. 7.2.- If the dwelling is ceded by bedroom, the owner must live in it and the number of occupiers may not be more than 6 altogether or more than four per bedroom. 8.1.- The dwelling must be “legal”, which in principle means that it must have obtained the municipal Habitability (1st Occupation) Licence and must be compliant with the technical and quality specifications demanded for such dwellings. 8.2.- The rooms must have direct ventilation to the outside or patios and some system to protect them against the glare or exterior lighting. 8.3.– It must be sufficiently furnished and equipped with the necessary domestic appliances. 8.4.- It must have a heating system if it is occupied between the months of October to April inclusive, and a cooling system if it is occupied between May and September inclusive. 8.6.– Tourist information must be available (leisure areas, cafes, restaurants, etc.). 8.7.- There must be claims and complaints forms in it to be made available to the tourism authorities. 8.8.– A visible “tourist dwelling” sign. 8.9.– It must be cleaned at least before the check-in and after the check-out of guests. 8.10.- Linens and furnishings, etc. 8.11.– Owner’s telephone number in case there is a problem. 8.12.– Information and instructions of use of electrical appliances and machines. 8.13.– Information concerning use of the facilities, whether pets are allowed in the house, smoking rules, etc. Obviously, this article does not contain full, specific details but only general information. The owner of these dwellings becomes the operator thereof and must observe the applicable legal rules, as it receives a rent and has to pay for utilities and services and will therefore make a profit or incur a loss, so they must file tax returns, quarterly tax statements, withholdings, etc. This activity is also liable for V.A.T. at a reduced rate of 10%, with the formal obligations this entails. OBJECTIVE DELIMITATION OF SEASONAL LEASE (SUMMER OR ANY OTHER SEASON). Although seasonal lease contracts have been traditionally entered into between the owner direct and another person to whom the owner has been in any way introduced, or through a estate agency, this does not mean that the owner themselves or an intermediary -particularly a real estate agent- cannot undertake the job of promoting and marketing the seasonal lease contract. That is, Internet marketing does not necessarily mean “marketing through holiday services channels”. As mentioned at the beginning, the differentiating line between marketing a building-dwelling by entering into a “seasonal lease contract” and doing it in respect of the same building-dwelling by entering into the “accommodation contract” to which the regulations herein discussed refer are not clear, as we do not have an accurate definition of each contract. And it is an inaccurate delimitation as aforesaid because both buildings are dwellings which are to be occupied by persons, both are located on residential land and the duration of the agreement is in both cases more or less short, or at least it is in many cases. Consequently, in trying to delimit the meaning of a seasonal lease as opposed to the meaning of a cession of a dwelling by an accommodation contract, rather than using a legal definition of each right we will have to look at the integral elements -or, in this case, particularly the excluding elements – of one kind of contractual right or the other. Thus, without being exhaustive, a contract will relate to a seasonal lease where the duration of the contract is in excess of two months (although leases with a shorter duration do exist) and, at the same time, the ancillary services inherent in the accommodation, etc. are not provided. On the other hand, a contract relating to tourist accommodation in a residential dwelling fundamentally requires the provision of the services typical of the tourist accommodation industry, even if these are restricted to those mentioned in the Decree about which we are speaking. If these services fail to be provided, then the contract is a seasonal lease. We mentioned at the beginning that Andalucía’s Tourism Administration is putting particular focus on monitoring holiday services channels on the Internet, to such an extent that inspections and sanctions have been frequent in respect of accommodation complexes with several units; but now, after the coming into force of this Decree, there is no doubt that a revision will take place, on what is regarded as holiday services channels, of singular dwellings where tourists are being lodged without meeting the requirements of this law, and the relevant sanctions will obviously be imposed on those who contravene it. Having said the above as regards the requirements of a seasonal lease as opposed to contracts relating to accommodation in a residential home, we have to say that the “season” does not have a specific temporal limitation, i.e. it does not have a minimum or a maximum duration. A season rather refers to the leaseholder’s need, or mere suitability, to occupy the dwelling “temporarily”, without the ancillary services of the tourism industry on the one hand, and without intending to fulfil the primordial and primary need of persons and their families for living accommodation, as in that case the contract would be an ordinary contract of habitual residence. Summer is typically the season to which a seasonal lease relates, but it can be any other, such as a period of time during which a person needs to do a temporary job (e.g. six months, one year, etc.). Therefore, a season of less than two months can exist (without this entailing that the contract is for lodging) or it can be longer than 11 months (without it being a lease for habitual residence). And we highlight these two time limits -less than two months and more than eleven months – because it has been traditionally interpreted that, by stipulating one or the other, the mandatory rules of a specific contract can be circumvented at will. Thus, “eleven-month” seasonal lease contracts have for decades been offered by lessors in the belief that they could thereby exclude an “ordinary” lease for habitual residence and its mandatory -for the lessor- extensions, which used to be indefinite, then became mandatory up to five years and currently up to three years, depending on the date of execution of the contract. However, those who tried (and still try without being aware of the consequences) to simulate a seasonal contract by merely specifying its duration as eleven non-extendable months, found that the courts had many years ago ruled that, despite its name and appearance, such a contract actually related to an ordinary lease for habitual residence purposes, with an indefinite extension until the decease of the lessor, and even until the decease of the lessor’s spouse and children in many cases. Therefore, whether a short-term or a long-term seasonal lease is chosen, a reason to occupy the dwelling temporarily has to exist. It must be stressed, therefore, that a seasonal lease contract has to refer to a “building-dwelling” which may or may not be furnished, although logic dictates that it needs to be furnished in the case of a short-term seasonal lease, and there is also an important security requirement for the leaseholder to pay to the lessor an amount equivalent to two months’ rent as security deposit to answer for any possible damage, which the lessor must deposit with the Public Treasury of Andalucía and refund without interest when the lease has finished. Current State regulations in Spain excluded this requirement in the case of seasonal leases, but competence in this matter now lies with the Autonomous Regions of Spain and, in the case of Andalucía, its current legislation obligates the lessor to demand, under their own responsibility, that the leaseholder pay a two-month security deposit irrespective of whether the seasonal lease is for fifteen days, one month or longer. This really is contradictory in addition to illogical, but this is the legal rule that must be complied with and Andalucía’s tax administration is currently pursuing non-compliance and imposing sanctions on breaching lessors. Also in this case, as in others, the rents obtained by the lessor are subject to tax payable to the Public Treasury of the State. A cession for valuable consideration in Andalucía (and on similar terms in other autonomous regions of Spain) of buildings-dwellings located on residential land may be formalised by entering into an accommodation contract, a seasonal lease contract or an “ordinary” lease contract (to fulfil persons’ primary and habitual need for living accommodation), but the choice of one or another right or contract is not free, as it has to be made based on complying with the minimum legal requirements applicable in each case.